This place looks soooo cute! I love it! GIRL, you are brave for going out in that 6 degree weather; I seriously would not have guessed it was so cold. Vermont is so picturesque, it's awesome that you've been able to take advantage of that! I love a white sweater in winter. So classic! I love wearing white in winter! In fact I'm wearing white now haha. I had no idea that Vermont was famous for red barns! This one is so cute. 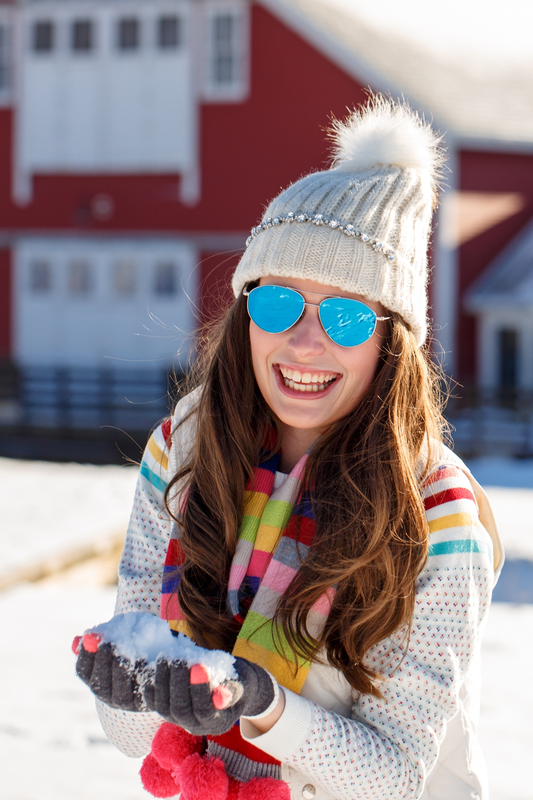 Good for you for braving the cold to get these fabulous photos! 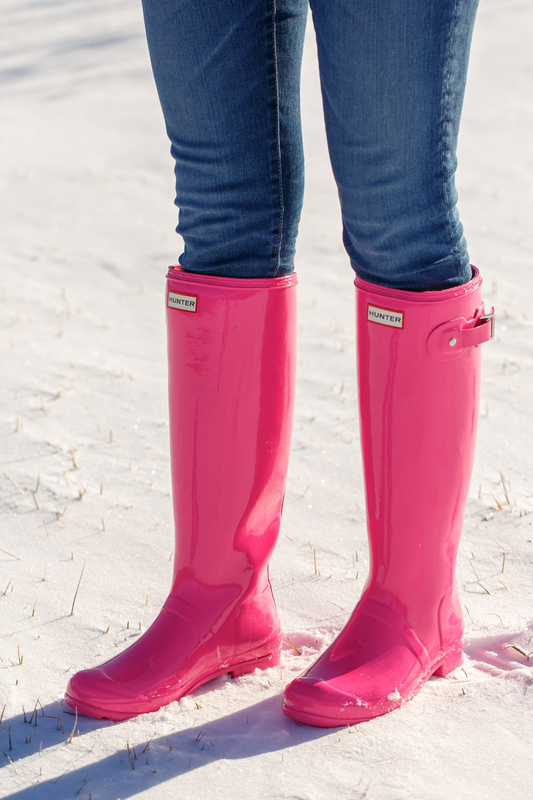 You look so cute in them and your pink Hunters are so cute! That scarf is sooo cute! I love the pops of color! These pics are great, but six degrees! I definitely couldn't tell you were freezing haha! 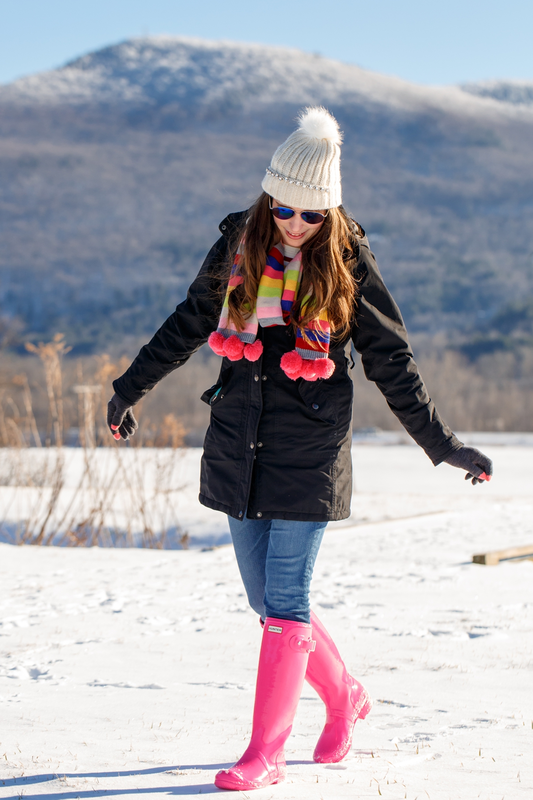 Love the pom-pom scarf and the bright pink Hunters. Such a cute outfit! 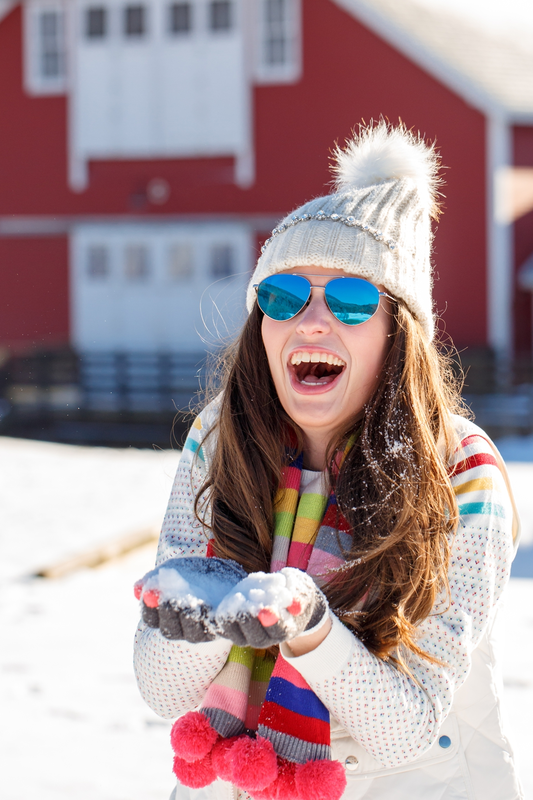 Oh my, that barn is dreamy and you look too cute! Such a cute outfit! The barn makes the perfect scenery too. 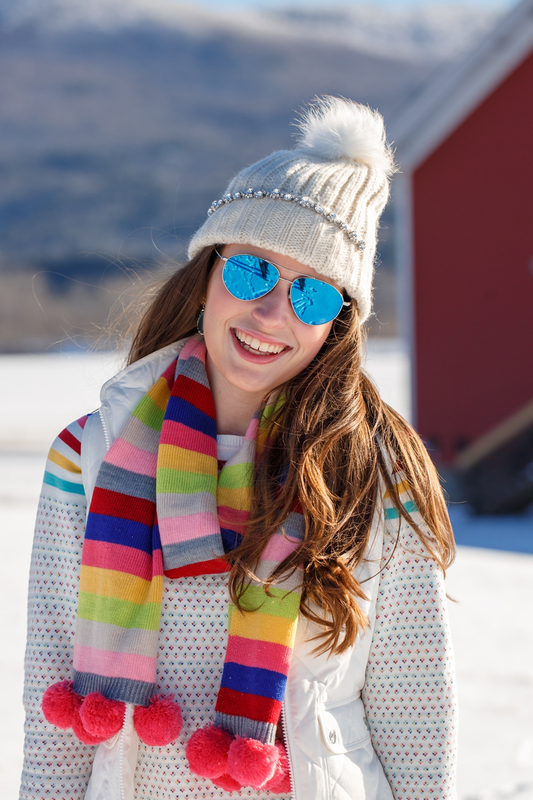 I've lived in VT my whole life and have yet to take pictures at a red barn... I'm missing out clearly! What a cute place for photos! And love your hat! You are just the cutest with those boots and that scarf! this is too darn cute! the boots really make the scarf pop!